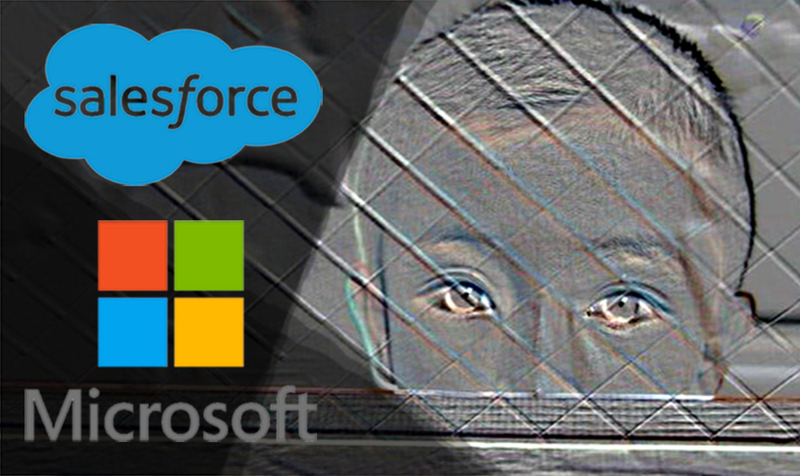 Presente - Microsoft, Amazon, and Salesforce: Adjust your moral compass/drop ICE and CBP! Right now, some of the largest technology companies in the world are engaged in the ultimate hypocrisy: their CEOs are speaking out, saying they support human rights, while they’re quietly building and selling technology that the government is using to cage children and families. Demand that Microsoft and other tech companies stop profiting from the cruelty of ICE and the Trump Administration. We've partnered with a growing coalition of grassroots advocacy groups that are demanding that Microsoft, Salesforce, and other large tech companies drop their contracts with immigration enforcement agencies like ICE and Border Patrol. After public upheaval regarding the brutality at the border, Microsoft has issued a statement denying responsibility.3 But immigrants are still being detained by ICE and kept in camps — and companies like Microsoft are still getting paid for their role in helping create this human rights crisis. Companies profiting off ICE’s dehumanization must change course. They must acknowledge how their services have been used by the Trump administration to forcibly isolate children and families and to put many in situations where they may never see their loved ones again. Any company participating in any part of ICE’s operations is equally as guilty. Sign the petition: No company should profit from caging children and families.